CND's newest release is their Gilded Dreams collection, a trio of three holiday-appropriate shades that are described as "Marie Antoinette meets Cinderella." My swatches show the VINYLUX shades, a gel-lacquer hybrid system (including topcoat) that claims week-long chip free wear. The holiday release also includes matching Shellac shades, as well as Additives and new holiday Scentsations lotions. Chiffon Twirl is easily my favorite of the trio! This rose gold foil is so holiday. I used two coats, and though it went on with some brushstrokes, they all but disappeared as the polish dried down. Finished with the VINYLUX top coat. Dazzling Dance is a blue-tinted sheer base with pink shimmer and small silver sparkles. In my first swatch, I layered it over CND Vinylux Svelte Suede, which created this really nice "subtle with a kick" mani that actually really grew on me. Karen at Beauty Geeks also tried layering it over black, which looks gorgeous, too. Here it is at three coats alone. Not so appealing. Grand Gala is a gold with a bit of a pink shift. It's still somewhat sheer at three coats, and alone, it has an older feel to it. I'd love to try this one with some nail art over it. Like Dazzling Dance, it goes on with a few brushstrokes but they fade away as the polish dries down. A couple of notes about the VINYLUX topcoat: though it dries fairly quickly, it is not as fast as a quick dry topcoat. If you are used to those, be sure to give this manicure a bit of extra time to dry before you go about your day. Once it dries, this topcoat gives a hard, protective finish that only improves with exposure to natural light. For the week long chip free wear, you need to use the system. I also tried out the Scentsations Gilded Dreams lotion trio! I am OB.SESSED. 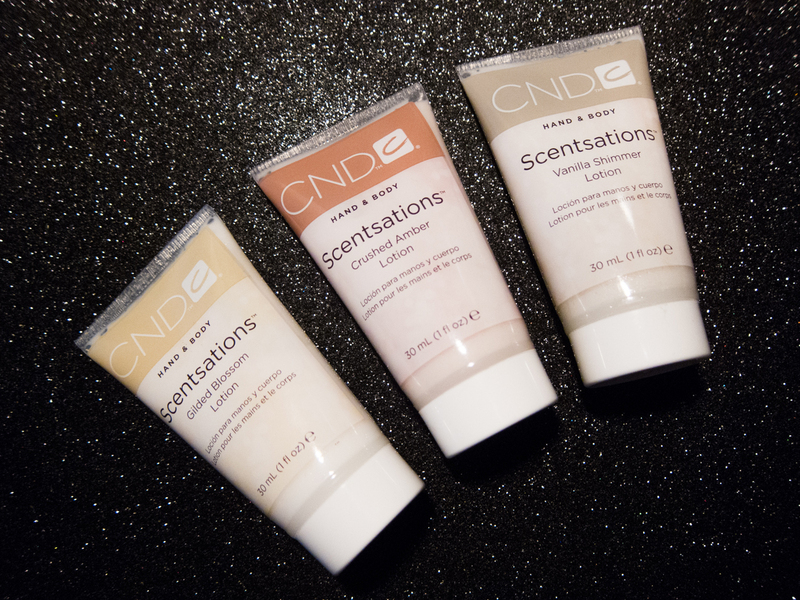 with the CND Scentsations lotion in Birch & Mint so I was eager to see how I liked these. Gilded Blossom is my favorite of the scents. It is scented with green apple, lemon, bergamot, and musk. It has a soft gold shimmer in it. Crushed Amber is scented with grapefruit, lemon, jasmine, vanilla, and praline. It was probably my least favorite of the scents. In my notes, I wrote "sharp yet warm, wintry." I didn't notice any visible shimmer in this one. 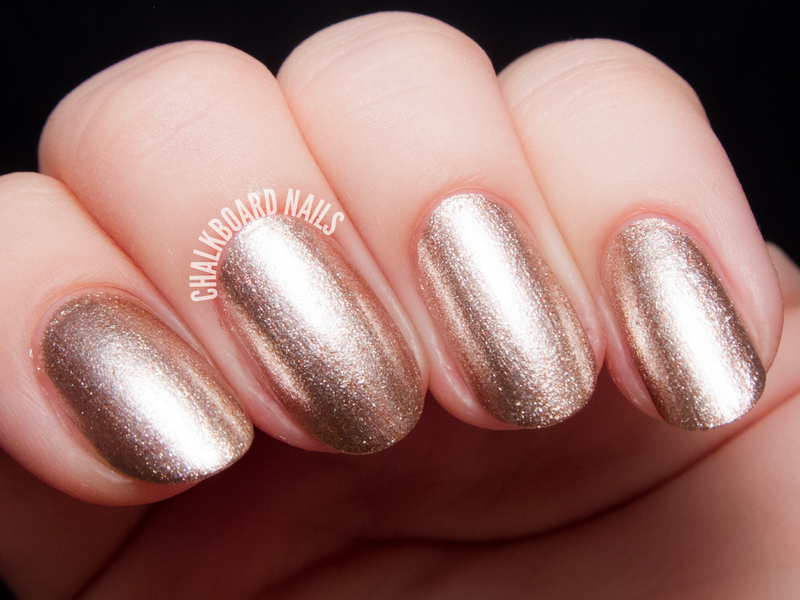 Vanilla Shimmer is a CND classic, scented like vanilla (you guessed it)! It has a silver/pearlescent sparkle to it. It is not subtle. You'll be blinging all day! This collection also includes four new Additives and Shellac counterparts to the VINYLUX polishes. If you are a Shellac kind of gal, be sure to ask for these shades at your local salon! CND VINYLUX is sold in salons and professional beauty supply stores. Recently, it was also announced that some of the CND line will be sold online through Loxa Beauty! 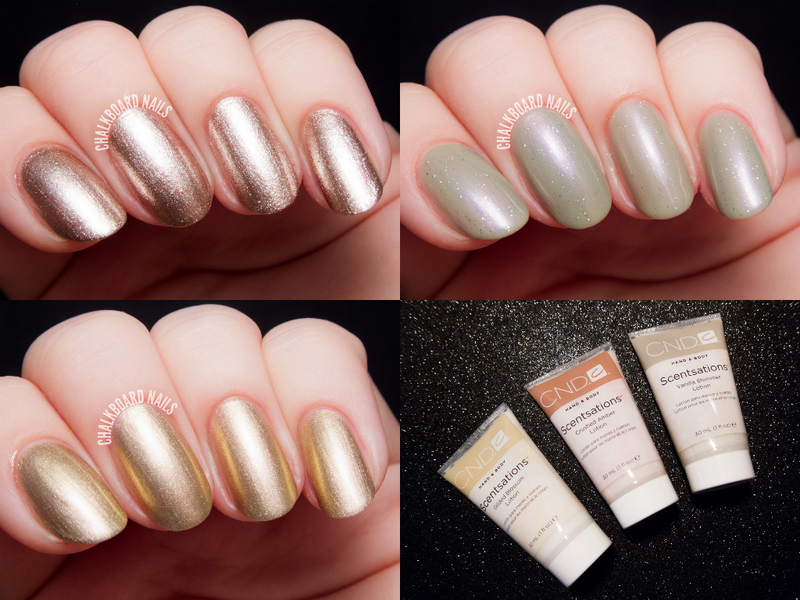 VINYLUX polishes retail for $9.90 and the Scentsations trio retails for $13.90. These are pretty shades. I really like the look of Chiffon Twirl. 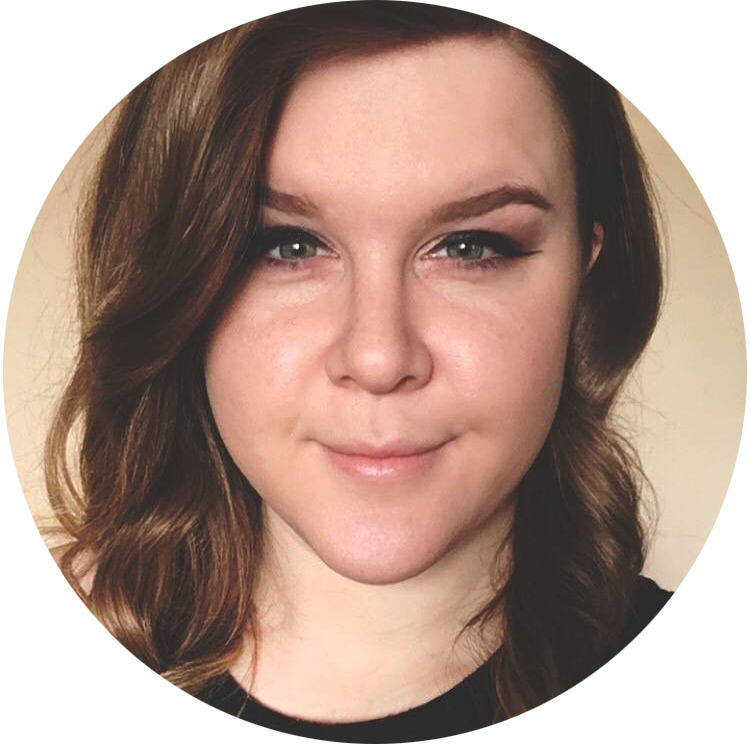 Hi Sarah, these are feminine and understated, yet glamorous shades for the holidays. Not everyone can go around with brazen Christmas trees or red-and-white glitter on their nails! Agreed! Which one would you be most likely to wear? I love wearing lots of sparkly polishes during holiday periods and these are absolutely stunning!!! The Chiffon Twirl is my favourite too!!!! ...drool. I'm not sure about Dazzling Dance, but the other two are right up my holiday alley! The rose gold shade is beautiful!